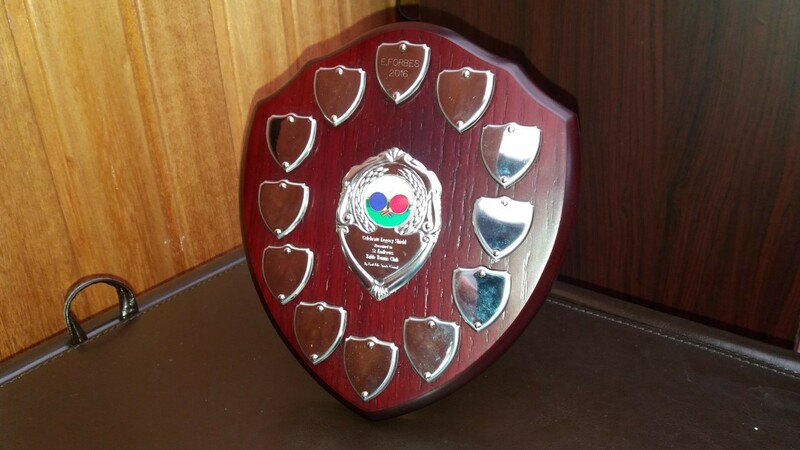 East Fife Sports Council kindly awarded the club a shield for participation in their Glasgow Commonwealth Games Legacy initiatives. 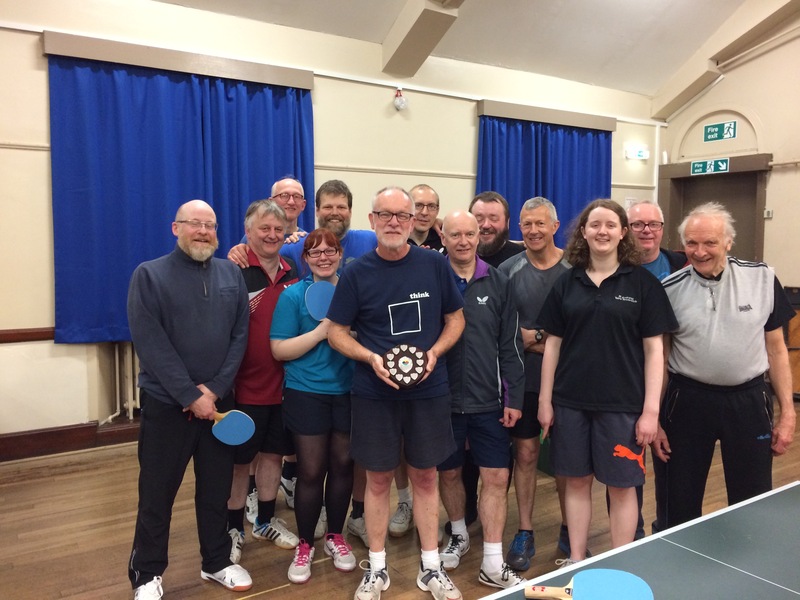 The inaugural competition for this Celebrate Legacy Shield took place in St Andrews in April 2016 using a set of hard bats purchased thanks to the initiative of event organiser Howard Lee. These bats have a sandpaper surface with no sponge and date back to the early days of table tennis. It is very difficult to generate a large amount of spin without the right technique and a lot of practice. 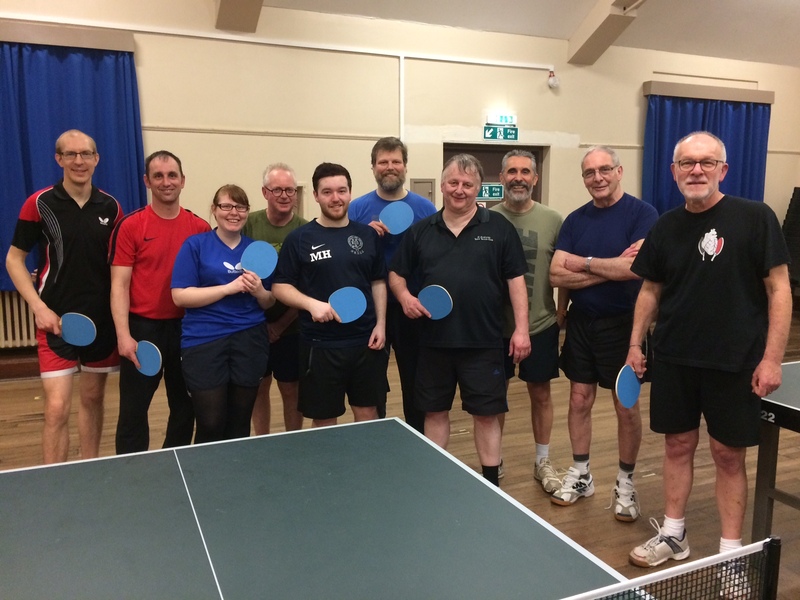 With everyone using exactly the same old-fashioned equipment, players face different challenges from those generated by the great variety of surfaces, rubbers, sponges and blades in the modern game. 12 players signed up for the first competition and they were divided into three groups of four. In the next round, players in each position in each group played off against each other. The old style equipment produced a great deal of entertainment for the assembled crowd (that is, club treasurer, Bill Sutherland) and served to lengthen the rallies somewhat and also to help those who adopted more defensive strategies. 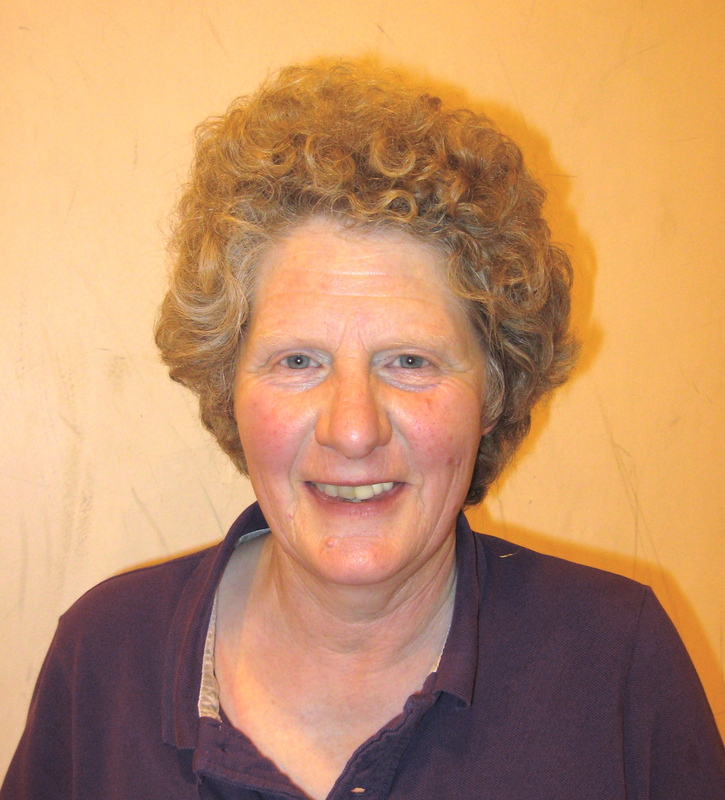 However, it was the aggressive play of Elaine Forbes which finally prevailed as she triumphed over Clyde Johnson 21-18 in the deciding match of the singles’ tournament. In 2017, there were 13 entrants in the Legacy Shield event. 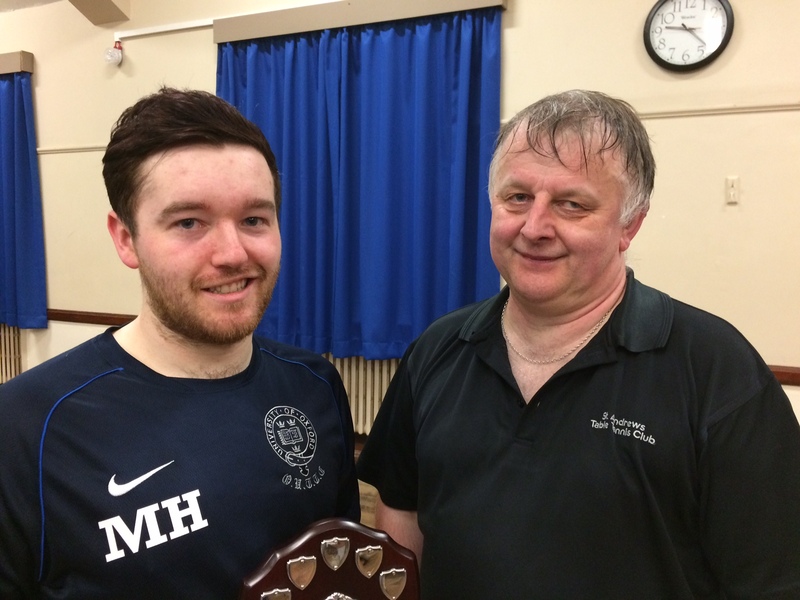 Graham Wood eventually triumphed with Howard Lee the runner up. In 2018, eleven players competed for the Legacy Shield. Michael Hahn was the king of the sandpaper with a 21-18 victory over newcomer Chris Wroniecki in the final. 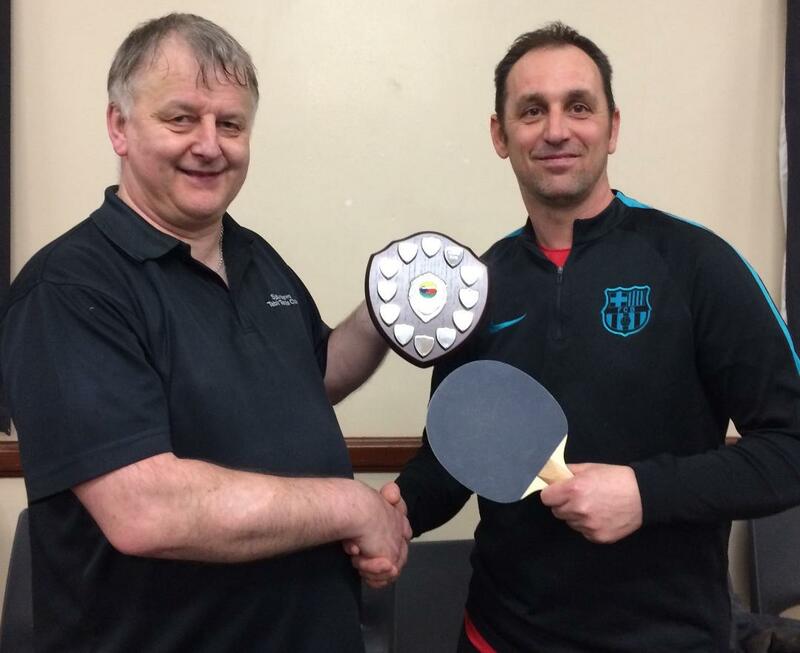 In 2019, Chris Wroniecki tasted the sweetness of revenge over Michael Hahn as the same two players contested the final as in the previous year. This time Chris made no mistake, defeating Michael 15-11, 15-14.